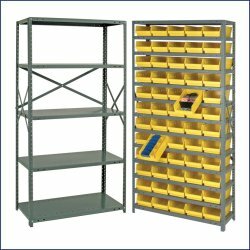 Your One-Stop-Shop for Complete Storage Systems! 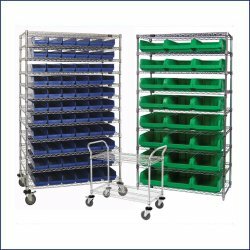 Mustang Material Handling offers the largest selection of plastic storage bins , steel shelving , rails and louvered panels, jumbo storage cabinets, clear tip out bins, tool boxes and new stack and nest totes with lids. In addition, Mustang Material Handling provides a premium selection of conductive bins and systems in the industry. We are your workable storage solution providing a wide variety of storage systems for any use you may have! New Selections Every Day – Stackable Storage Bins and More! 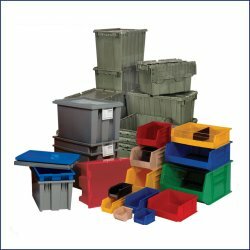 Mustang Material Handling, distributes unique, versatile, precision molded storage systems. Mustang MH ensures that you get a newly designed, high quality storage system at the most economical price. We are the biggest providers of complete storage systems and storage bin solutions in the Akron, Canton, Cleveland & Youngstown, Ohio areas, but are capable of shipping nationwide. In any application, Mustang Material Handling will increase production efficiency, reduce and control inventories, shorten assembly times, and minimize parts handling. Mustang Material Handling – the most efficient, permanent and economical solution to solve your storage needs.